The 2007 Shipmate Reunion started off on Monday, October 15, 2007, with a welcoming reception for Shipmates, their families and guests. On the second day of the reunion, 65 guests participated in a Sonoma Wine Country Tour and Tasting, visiting three great wineries (Benziger, Sebastiani, Cline Cellars). Tour participants enjoyed the fruits of the wineries’ labor, with a boxed lunch at Benziger’s. On Wednesday, 72 reunion attendees joined together for a tour of famous San Francisco City sites, the giant redwoods of Muir Woods, and Sausalito. A great lunch was enjoyed at Jillian’s, one of San Francisco’s many fine restaurants. From Sausalito, many attendees decided to return to the hotel by the Sausalito Ferry, crossing San Francisco Bay, viewing a magnificent sunset. 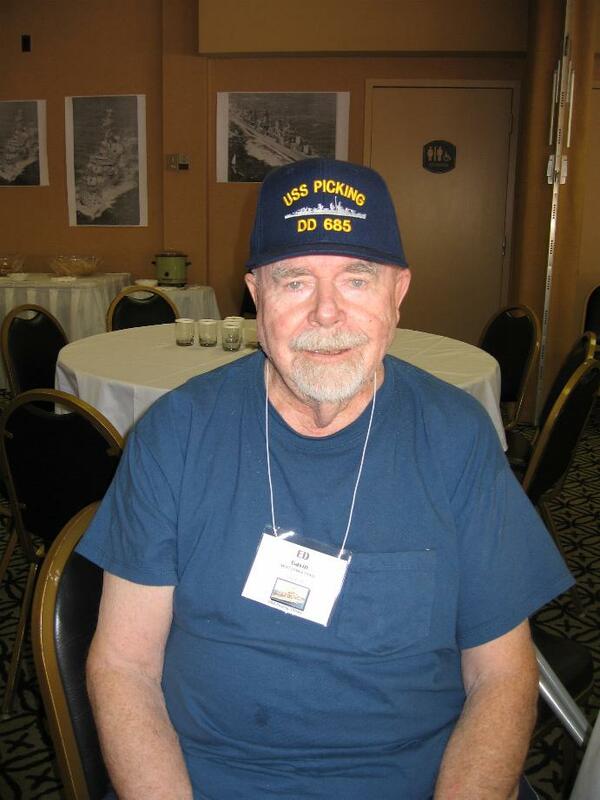 Shipmates that did not attend one or both tours manned the Hospitality Room or took time to visit some of San Francisco’s many interesting sites. Thursday, the final day of the reunion, was more or less a free day (following the Shipmate’s Meeting), in which many took time to shop, visit Alcatraz, ride the cable cars, visit the shops and sites of Fisherman’s Wharf, including touring the submarine, The USS Pampanito, and the WWII Victory Ship, the SS Jeremiah O’Brien. The banquet, at Neptune’s Seafood Palace, was a hit with everyone. 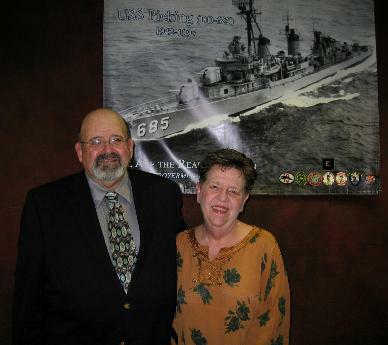 The Banquet Program Speaker was the former skipper of the Picking, Captain Alan Dougall, USN (ret.). It was a great talk, enjoyed by all in attendance. The word, by all attendees, is that this reunion was a hit. We are all looking forward to the 2009 Shipmate Reunion, to be held in San Antonio, Texas. See you there! 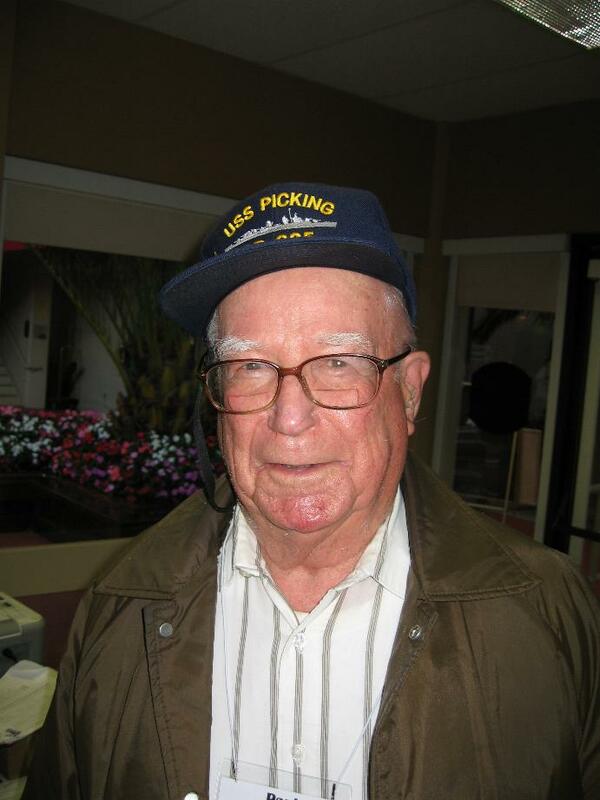 CDR Dougall served 30 years in the Navy then served as a Merchant Marine Master for 14 years. 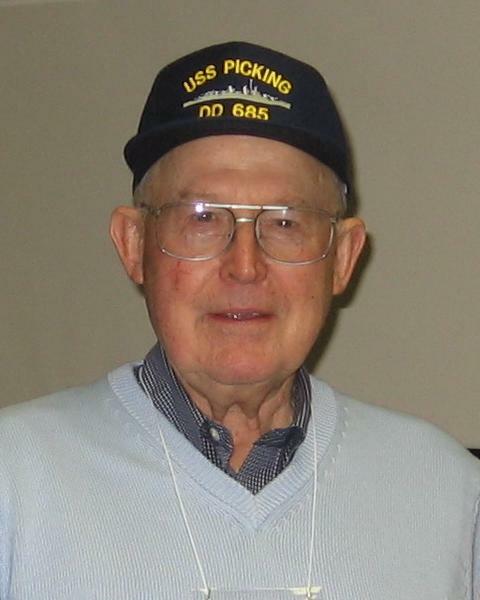 The 23rd reunion of the USS Picking (DD-685) was held in San Francisco, CA , from 15 through 19 October 2007. The host hotel was the Raddisson at Fishermen's Wharf . There were 46 shipmates plus spouses/widows/friends representing the life of the ship from 1943 through 1970. There were 22 first time attendees, mostly from the Left Coast. We came from 22 States.